Lexus officials have said that the LS is under review for India. After introducing the 2018 Lexus LS 500 and 2018 Lexus LS 500h this year, Lexus expanded the all-new Lexus LS range with the addition of an F SPORT variant at NYIAS 2018 in April. 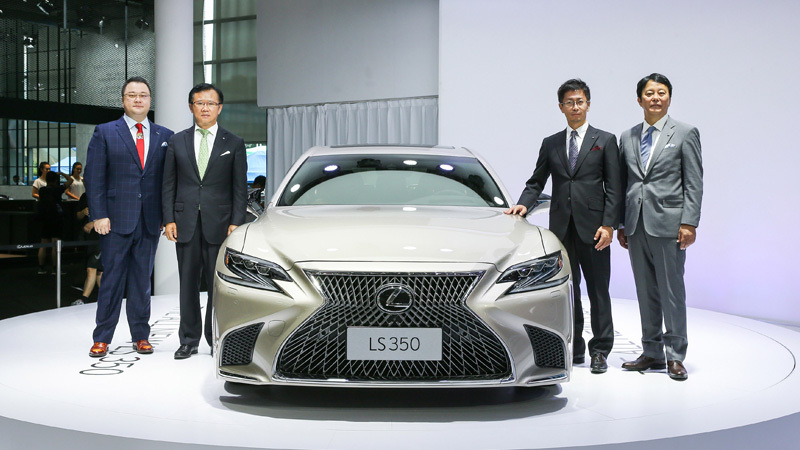 In the latest, the company has introduced the LS 350 model in China to make the car more accessible with a lower entry price. The Lexus LS 350 is powered by a 3.5-litre naturally aspirated V6 petrol engine. Unveiled at the 21st Shenzhen, Hong Kong and Macao International Auto Show, the 2018 Lexus LS 350 is the new base model of the flagship sedan, and it is powered by a 3.5-litre naturally aspirated V6 petrol engine good for 237 kW (317.82 hp) and 380 Nm of torque. Power is sent to the wheels via a 10-speed automatic transmission. With Lexus not mentioning the availability of an all-wheel-drive system, it's safe to assume the LS 350 is a rear-wheel-drive model. 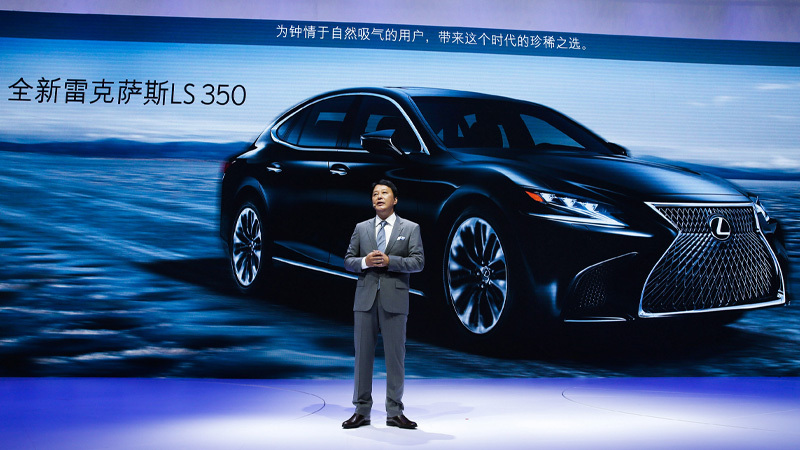 Lexus has announced the 2018 Lexus LS 350 only in China, and it is unknown if this model will sell in other markets. It is expected to have a starting price of 1 million yuan (INR 94,69,936.74) and will compete with the Mercedes S-Class S 320 L which starts at 9,38,000 yuan (INR 88,82,800.66). The fifth generation Lexus LS is based on the GA-L rear-wheel drive platform which debuted in the Lexus LC. The LS 500 measures 5,235 mm in length, 1,900 mm in width and 1,450 mm in height, and is powered by a 3.5-litre twin-turbo V6 petrol engine that produces 310 kW (421 PS/415 hp) and 600 Nm of torque and sends power to the wheels via a 10-speed automatic transmission. The LS 500h gets the Lexus Multi-Stage Hybrid System consisting of a 3.5-litre Dual VVT-i V6 petrol engine and two electric motors that work together to deliver a combined output of 264 kW (354 hp). A continuously variable transmission is standard. Lexus will offer the LS 500 and LS 500h both in Rear-wheel drive and all-wheel drive. The 2018 Lexus LS is expected to have a starting price of 1 million yuan (INR 94,69,936.74) in China. The 2018 Lexus LS will go on sale in the U.S. market in early 2018. Its Indian sales is also said to commence next year. Production will take place at the Tahara plant in Japan.